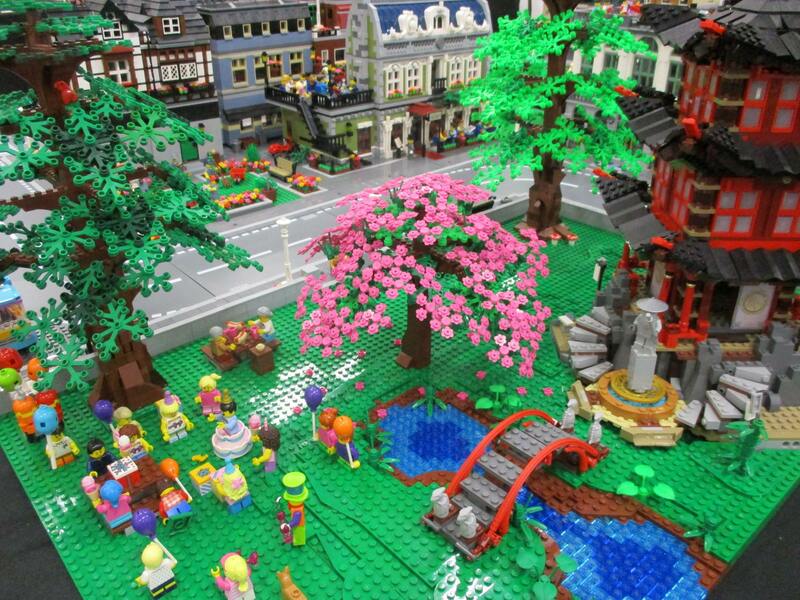 It’s Official – Spring is Here! 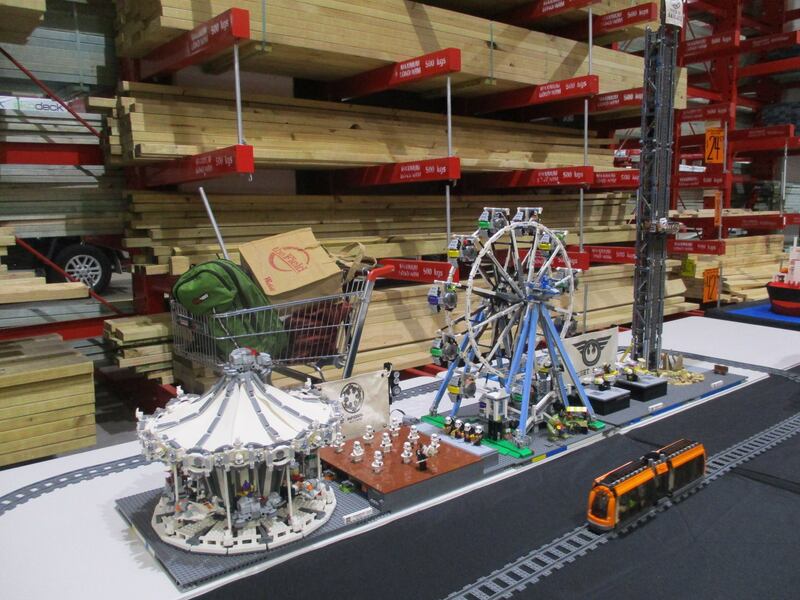 On Saturday 8 September, SydLUG was back at Bunnings Kingsgrove to officially celebrate the start of spring. 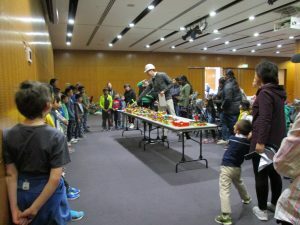 The event managed to create a carnival atmosphere despite the welcome rain outside. 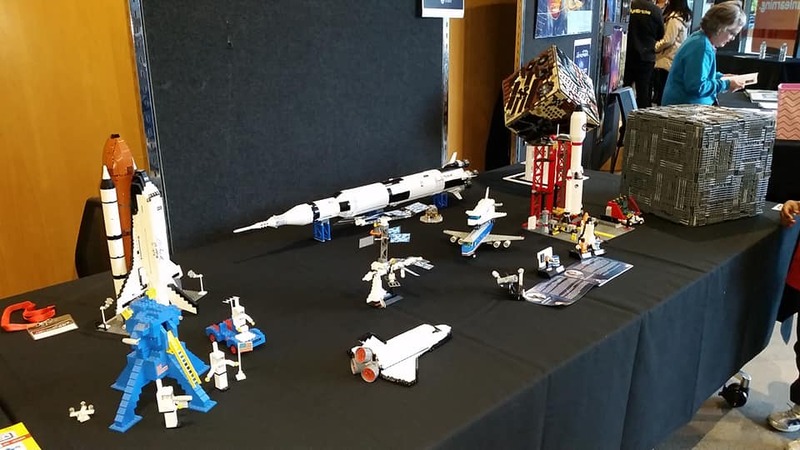 SydLUG’s display of brickbuilt MOCs was the main attraction with highlights including a Star Wars themed carnival complete with dancing stormtroopers, a chibi vehicles carousel, and sarlaac tower drop. An impressive model of the MV Drake (formerly the Pasha Bulker) and a series of illustrated song lyrics were also popular exhibits. 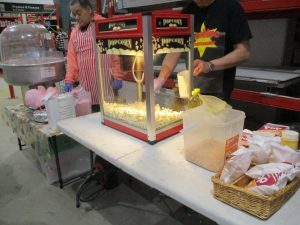 Visitors to the store were treated to popcorn and fairy floss, while the kids could enjoy face painting, glitter tattoos and a petting zoo. SydLUG will be taking part in the store’s Christmas family night on December 6. 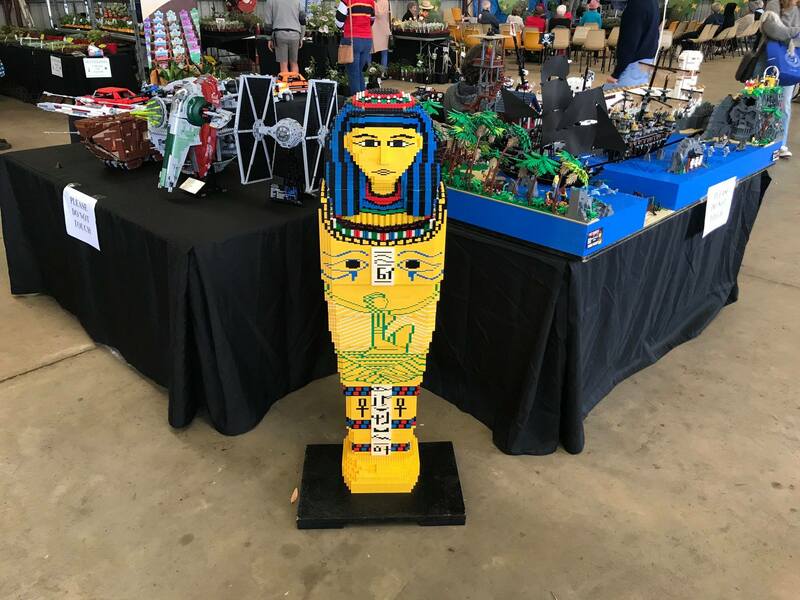 On Saturday, September 1 brick-built displays by SydLUG were among the attractions at the Roselea Public School Biannual Spring Fete. 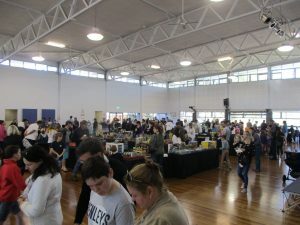 Over 1500 visitors to the event enjoyed a range of food stalls, game stalls, trash and treasure, rides, rock climbing, and performances by the school band. 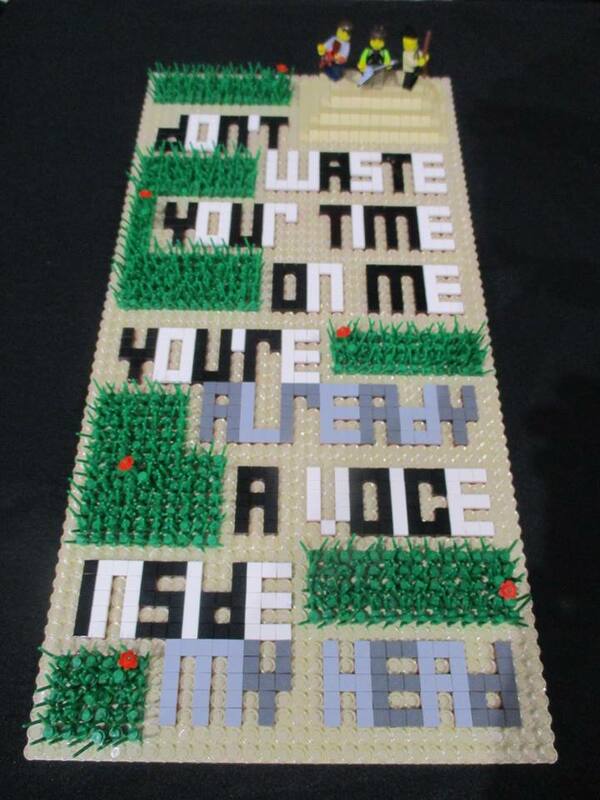 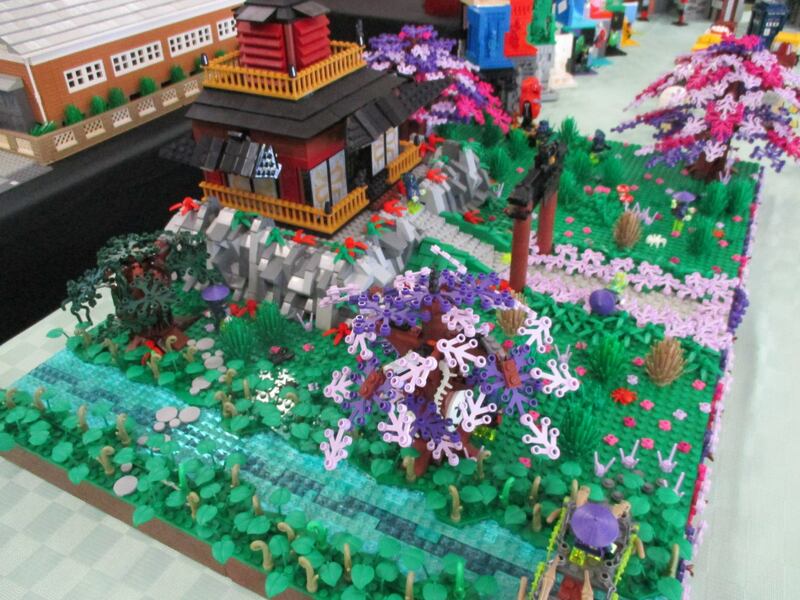 In keeping with the spring theme MOCs included a beautiful Japanese garden, by SydLUG builder Joel, who also used the event for the public debut of his impressive Dr Who Brickheadz and crowd favourite, PJ Masks Gekko maxifig. 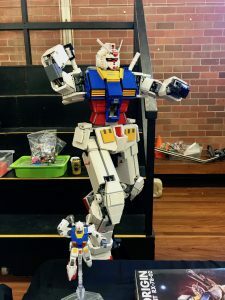 For one SydLUG member the fete was a blast from the past, seeing him display his creations in a classroom that was his Year 3 classroom in 1967. 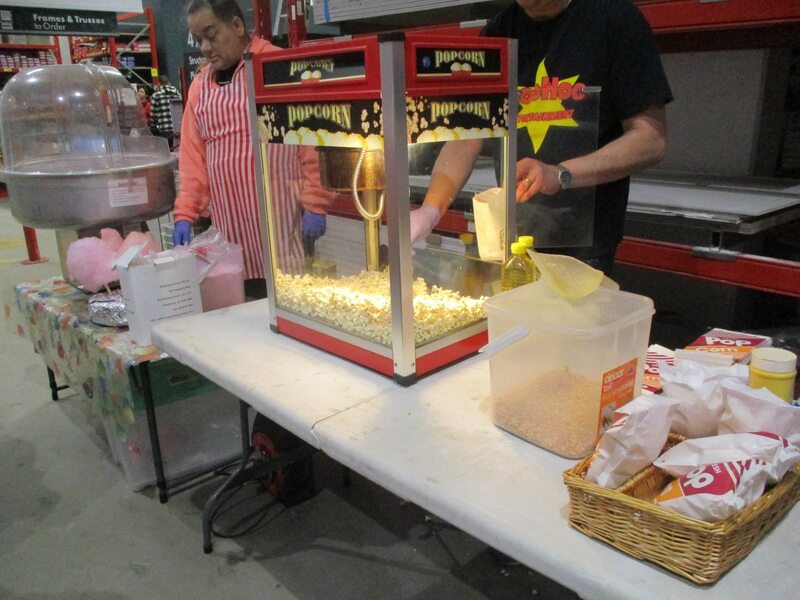 On Thursday August 30, members of SydLUG participated in a Father’s Day Family night held at Bunnings, Kingsgrove. 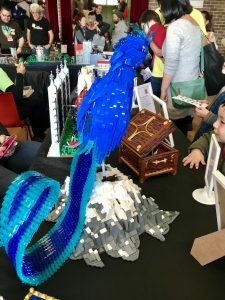 The evening was jam-packed with entertainment including snake handling and a dinosaur jumping castle. MOCS on display by SydLUG were a popular inclusion, comprising of light sabers, chess sets, an airport and a dinosaur jungle. 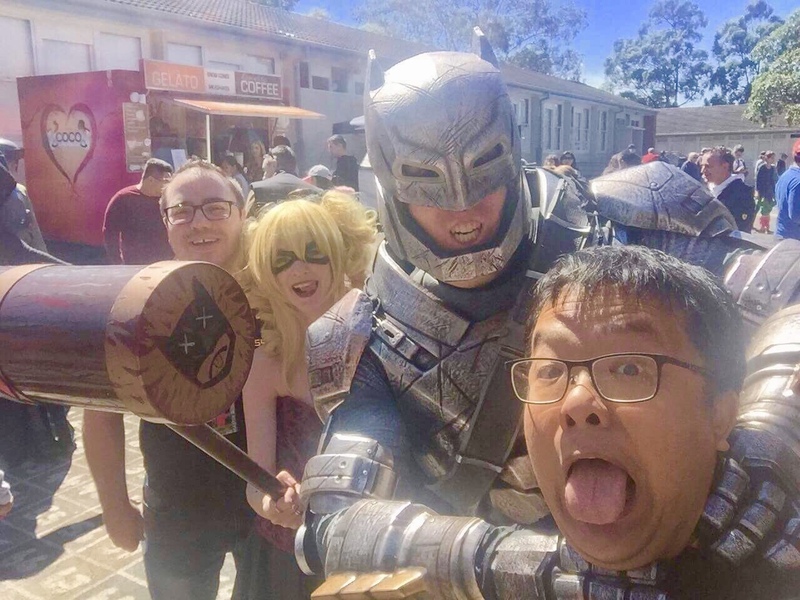 The LUG were happy to join in the community event with groups such as Kingsgrove North High School who organised food and the SES who brought along a boat for people to check out. 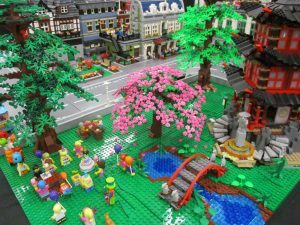 SydLUG will return to the store on September 8 for the spring launch event. 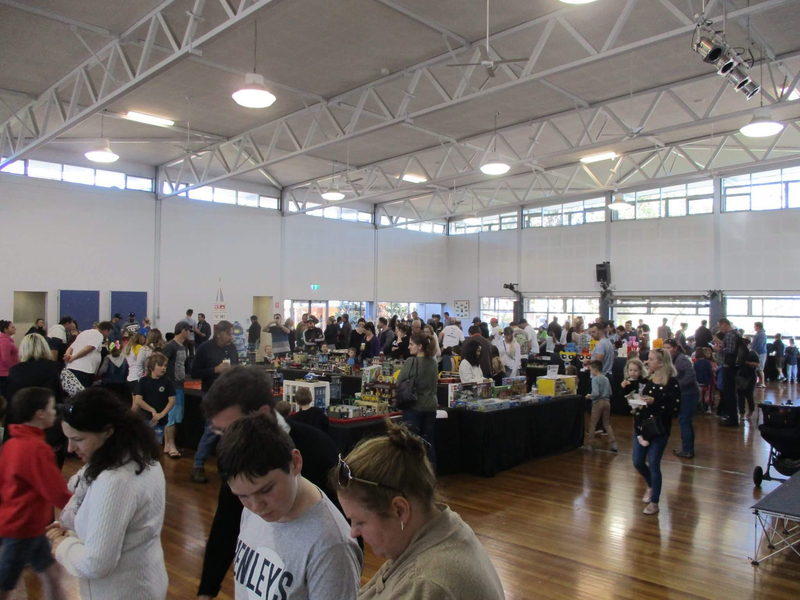 On Sunday 29th July, a crowd of around 1500 visited St John Bosco Catholic Primary for the Engadine Brick Fair. This was the second year for the event, organised by the school’s P and F group in partnership with SydLUG with all proceeds going to the school. 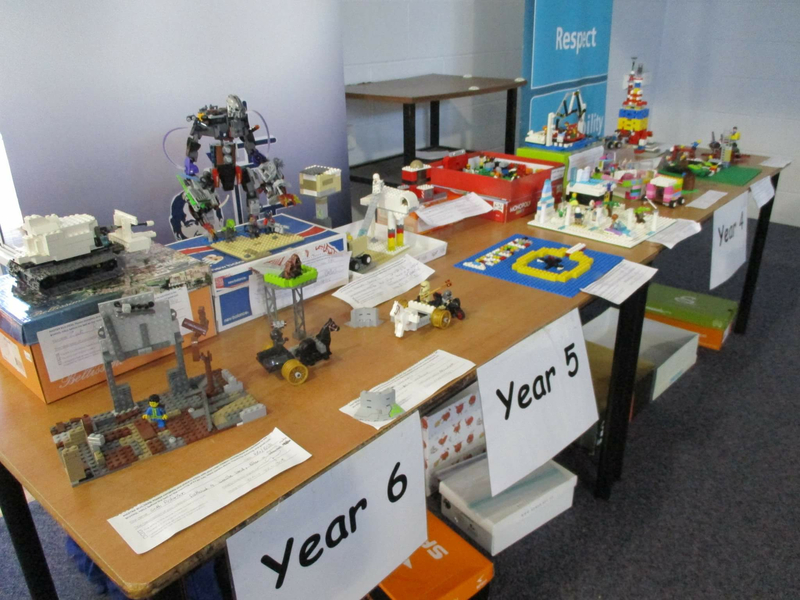 This year’s event was a larger one with more displays attracting more visitors to the fair. 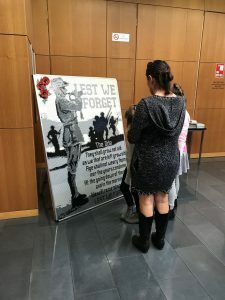 Builders travelled from across the state and even interstate to display at the event, with representatives from Sydney; Wollongong; Canberra; Albury; the Central Coast, and Musswellbrook. 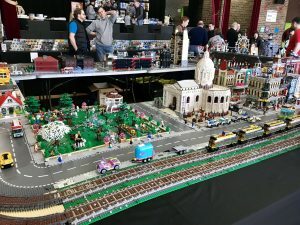 MOC (my own creation) highlights included Hulk’s Kitchen, the Lava Pit, a 1.5m tall tower, Escher’s Ascending and Descending, mosaics, several detailed cityscapes and farmlands, and a multitude of trains. 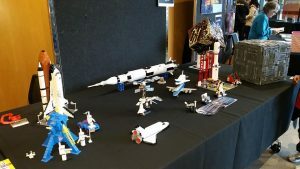 Crowds were excited to see several vintage sets from the 60s and 70s on display, taking some of them back to their own childhood LEGO experiences. 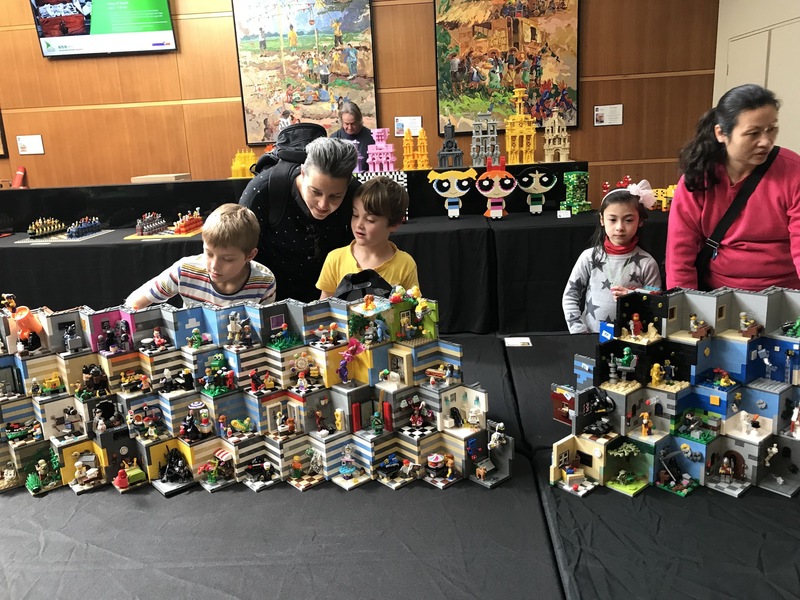 In order to encourage creativity and imagination a kids building competition was held and the results were impressive with many entrants across all years from 1 to 6, in addition to several entertaining stop-motion films featuring LEGO. 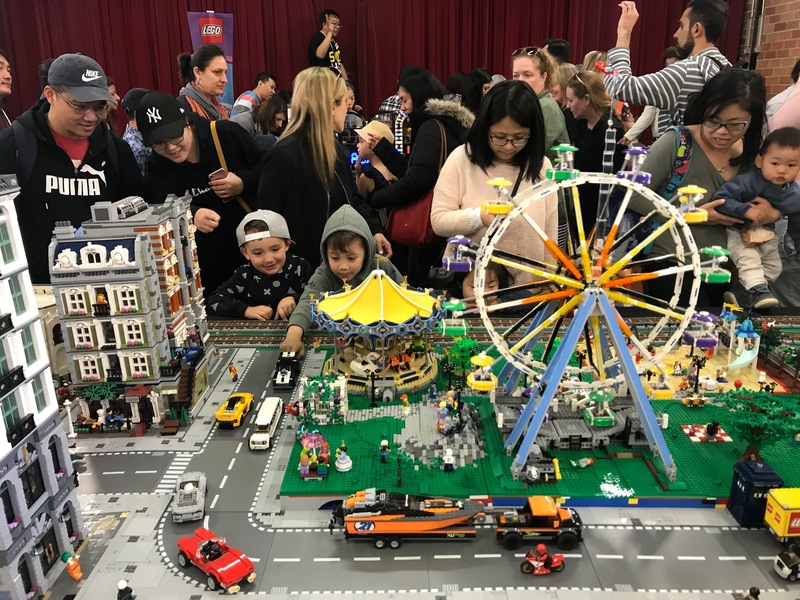 It was clear to see that the younger generation were inspired by the fair with the free building tables packed all day with young brick enthusiasts. 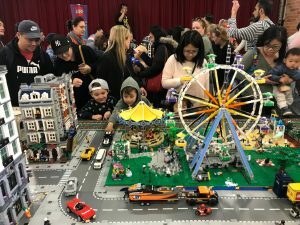 Engadine Brick Fair is set to return in 2019. SydLUG – making school holidays awesome! 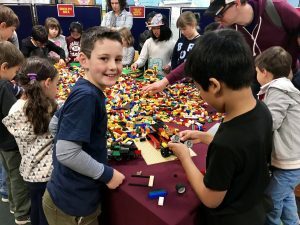 During the recent July school holidays 21 members of SydLUG treated Western Sydney to a free display of their brick built creations. 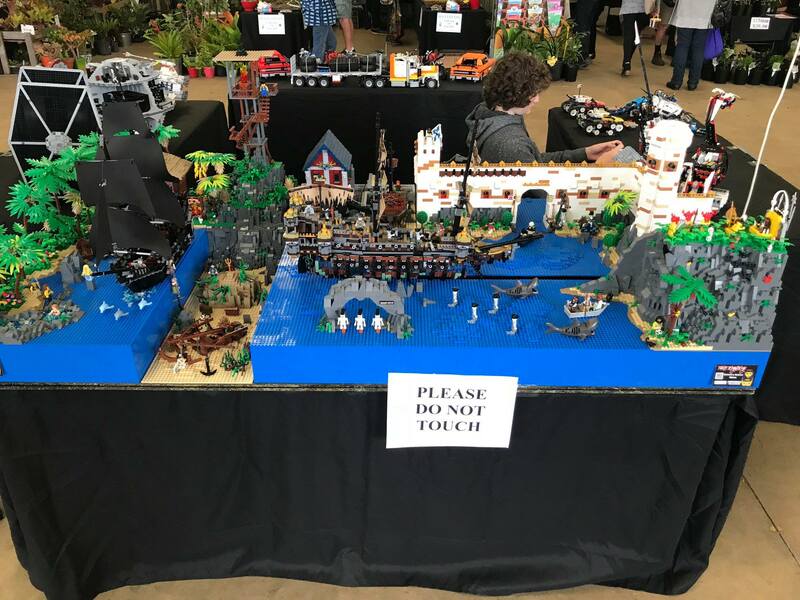 The display ran over the two week period with builds being changed over that time to give repeat visitors something new to look at. 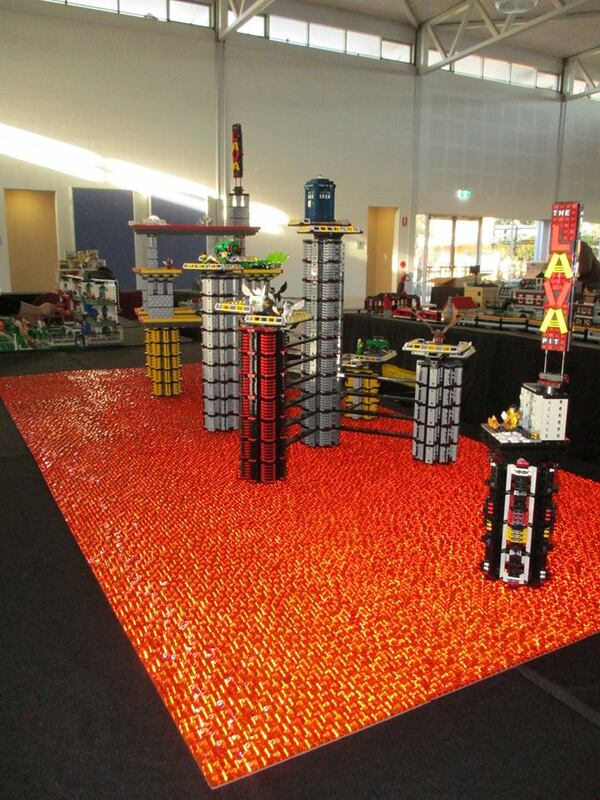 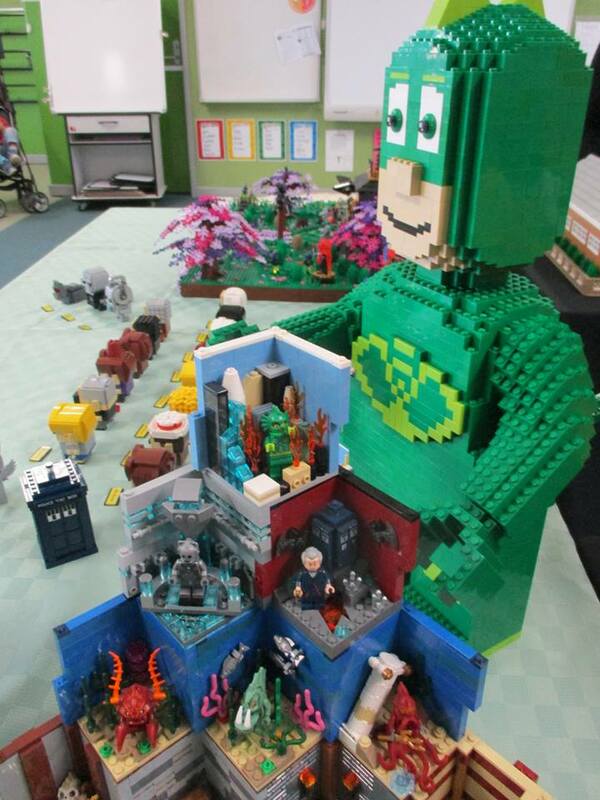 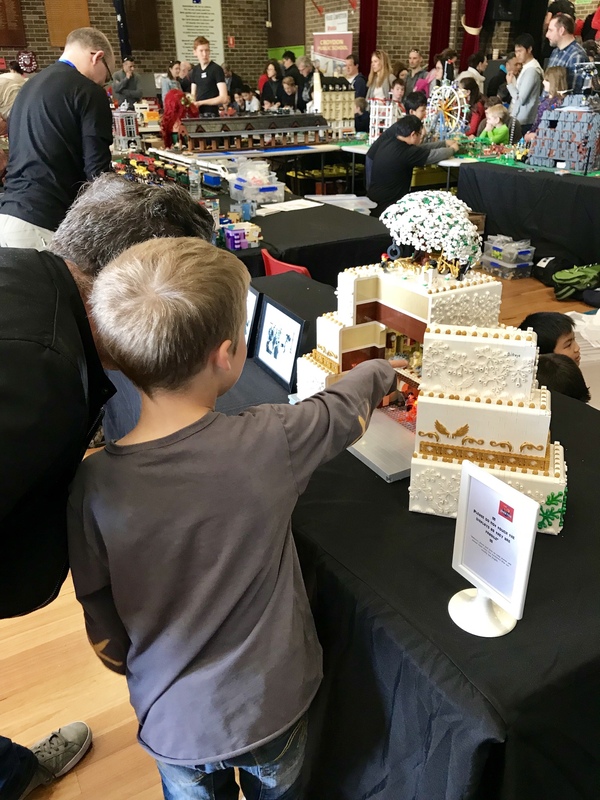 The show, titled ‘BrickBuilt by SydLUG’, was organised with the Max Webber Library, Blacktown who hosted the display and held their own complementary building activities for children – building workshops and competitions with awards judged and presented by a Blacktown City Council architect. 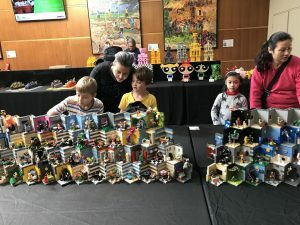 Creations shared by SydLUG during the first week included 400 minifig habitats, a stunning Ode of Remembrance mosaic, monochrome towers, and themed chess sets. 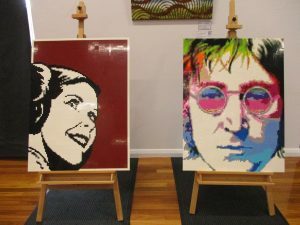 Week two saw a new line-up of MOCs including Bricktown Library, a detailed medieval castle, Disney’s Cars and an impressive John Lennon mosaic. 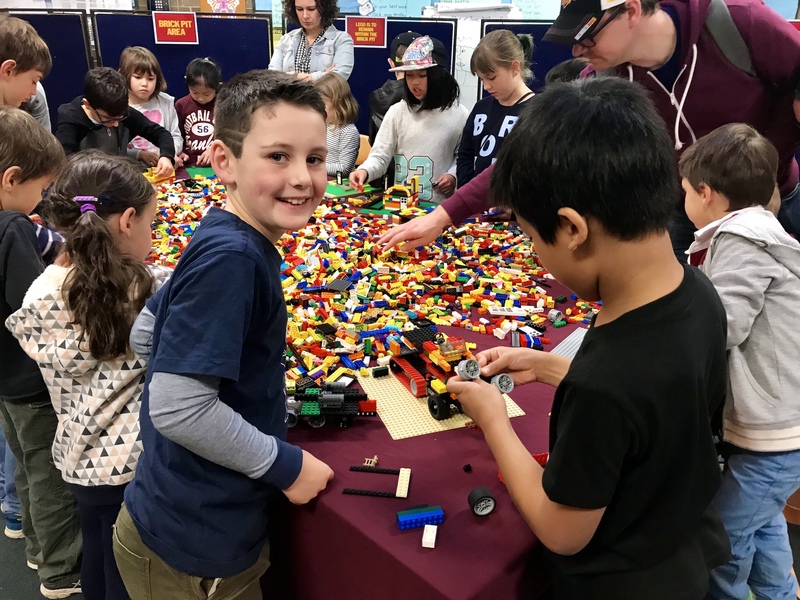 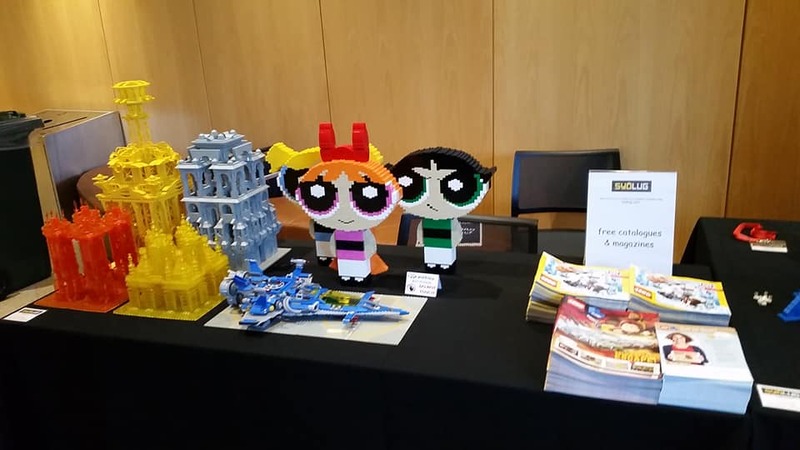 BrickBuilt appealed to the regular patrons of the library as well as attracting young families from around the greater Western Sydney area, introducing them to the limitless creative potential that building with LEGO offers. 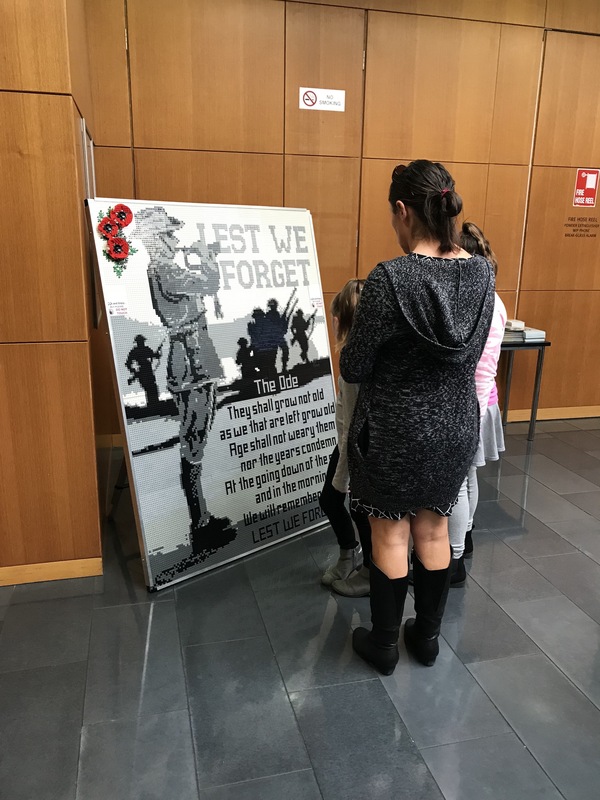 The display was visited by over 3,000 people during the holidays and is set to return to the library in the same holiday period in 2019. Over the June long weekend, 11 members of SydLUG, joined by two Rainbow Bricks members, took part in the 37th Epping Model Railway Exhibition. Held for the first time in the new venue of the Grand Pavilion at Rosehill Gardens, the event attracted around 5,000 visitors. 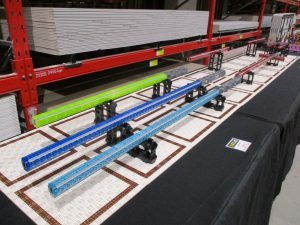 This is the third year that a brick-built train display has been included, and this year’s LUG display (Brickslandia) featured extensive use of the SBrick system to control trains and points from an Android tablet. 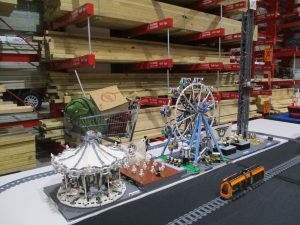 The display included a number of different buildings ranging from sets or modified sets to a large number of custom builds, including an impressive bridge and detailed train shed. 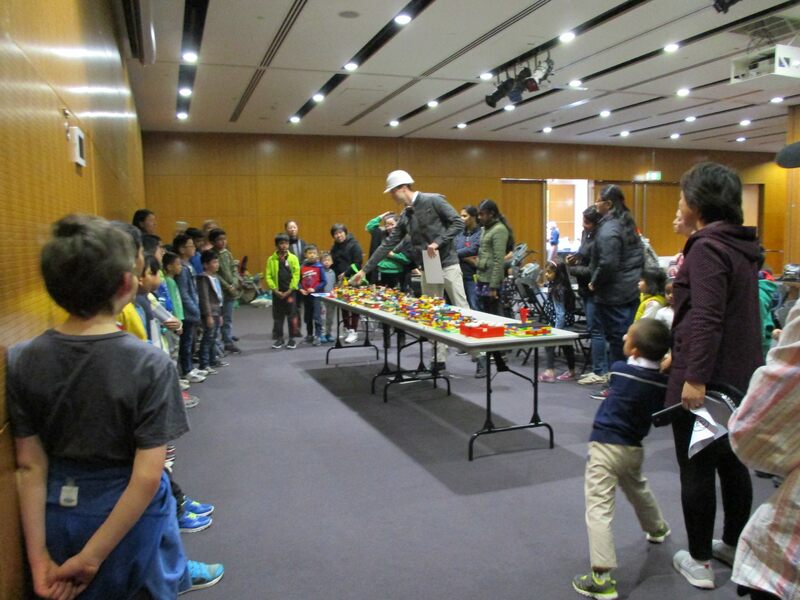 LUG members enjoyed sharing their hobby with the model train enthusiasts and the general public, taking time to demonstrate and explain how a LEGO train display works. It is hoped that this opportunity will be available again next year, giving our builders the chance to collaborate on a grand scale once more. 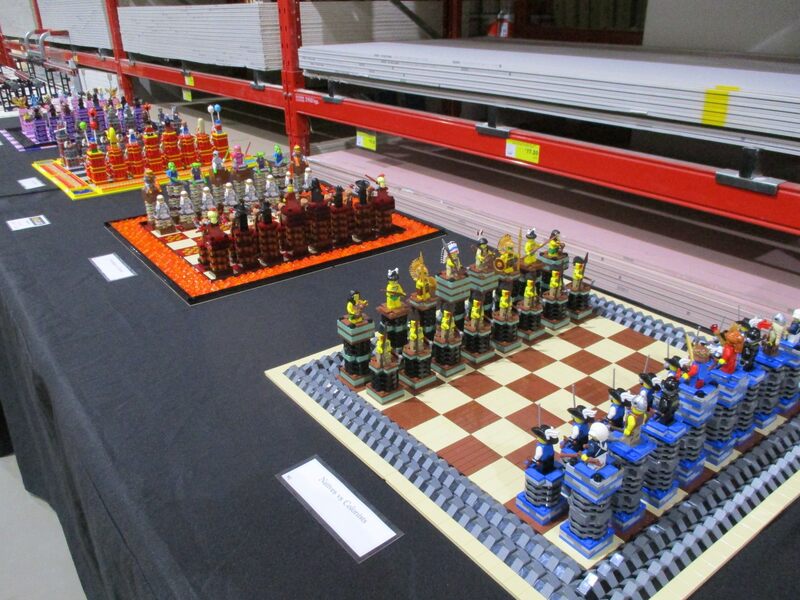 More photos (courtesy of SydLUG’s Matt Lawrence) from the exhibition can be found here.